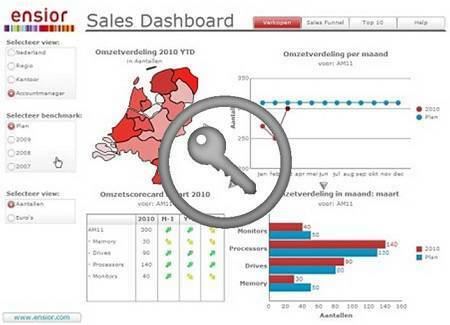 Ensior can based on best practices quickly produce dashboards, using standard SAPBusinessObjects and Microsoft BI tools. Below are some examples. 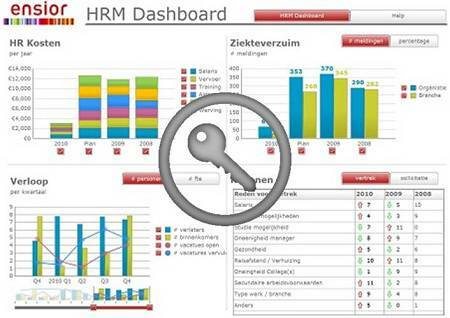 An HRM Dashboard specific to the HR department and management layer that not only provides insight into the composition of the workforce and its subsequent turnover, but also in absence statistics and growth rates, based on e.g. salary costs. In many companies the same common financial Key Performance Indicators (KPIs) are used to measure progress. The management of an organisation can benefit greatly by being able get insight in to these at a glance on a daily basis. Due to the continuous stream of leads, changing forecasts, deals won or lost, it is difficult to see how your sales department is doing. Are they on track? Which salesperson or opportunity needs extra attention? 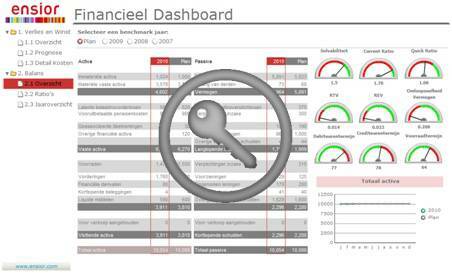 Using a sales dashboard with relevant KPIs gives you answers to all these questions at a glance. 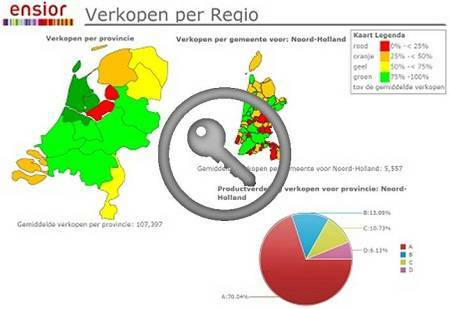 Ensior recognises the importance of geographical dashboards. Using a map with your own regional layout is essential. Let Ensior portray your achievements and statistics geographically, even mobile. Ensior uses both the standard maps supplied and plug-ins including ESRI.